I've been on a fsl kick lately. 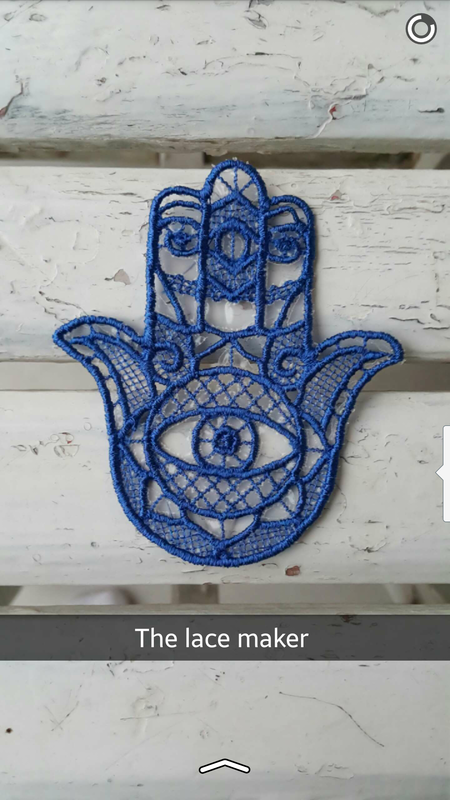 Here is the fsl hamsa I made from Urban Threads. I love it! need to hop over there and get this; I am always in FSL mode. Thank you :-) Urban Threads FSL designs stitch out beautifully. This looks very nice, beautifully embroidered, love the colour and the design. Great work. Thanks for sharing with us. Sandra. Thank you so much :-) I try to share as many things as I can but sometimes my internet doesn't want to cooperate. lol.